You don’t need to own an Amazon Kindle to read these Pocketbooks. Amazon produces Kindle apps for almost any device you already have. If you install the app on a variety of different devices, you can synchronise your reading, notes and highlights between all of them. NEW! 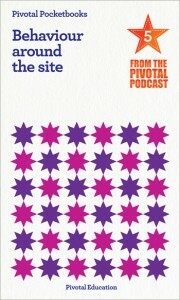 Pocketbook 5 – Behaviour Around The Site is available now at Amazon for your Kindle or your Kindle app on any device. 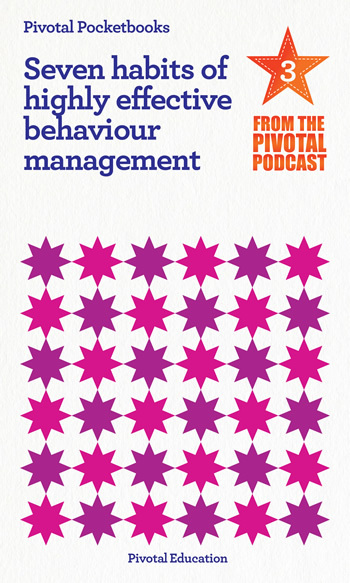 Behaviour Specialist, Paul Dix, explains the importance of managing behaviour consistently in all areas of a schools or college, not just in the classroom. 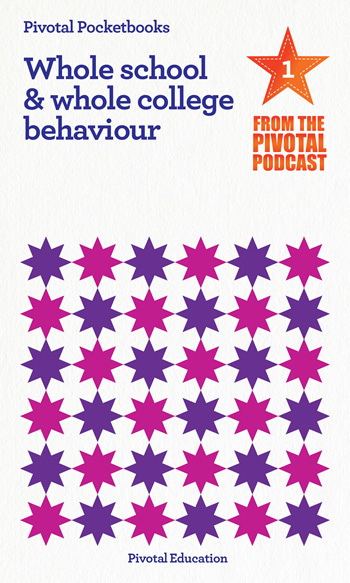 The fifth title in a series of edited transcripts of episodes of the Pivotal Podcast, this book is perfect for anyone who works in a school or college and includes lots of practical advice on how to maintain behaviour in all areas of your institution. 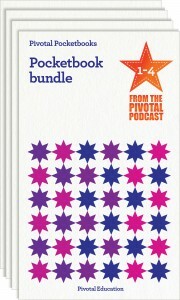 Pivotal Podcast Pocketbook Bundle 1-4 is available now at Amazon for your Kindle or your Kindle app on any device. 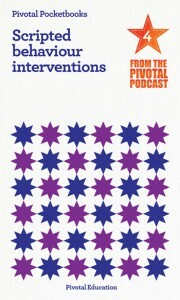 Behaviour Specialist, Paul Dix, presents the first four volumes in the series of edited transcripts of episodes of the Pivotal Podcast. 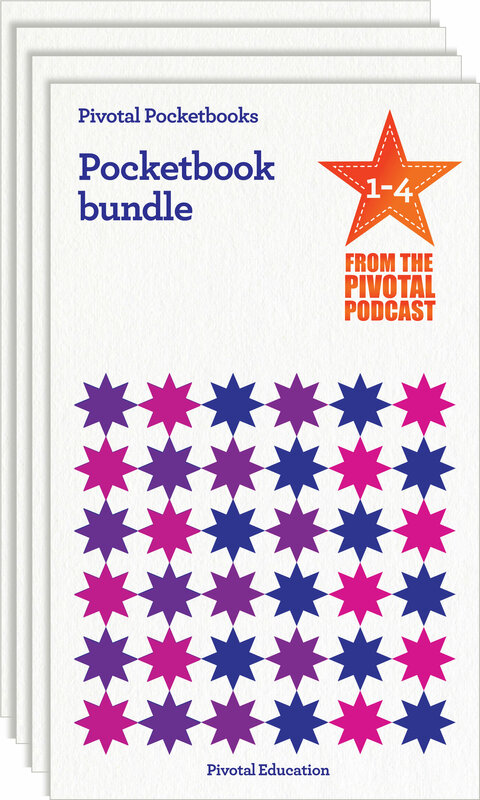 The ebooks included in this bundle are – Whole School and Whole College Behaviour, Restorative Practice, The Seven Habits of Highly Effective Behaviour Management and Scripted Behaviour Interventions. Pocketbook 1 – Whole School and Whole College Behaviour is available now at Amazon for your Kindle or your Kindle app on any device. Behaviour Specialist, Paul Dix, explains the importance of a whole-school or whole-college approach to behaviour management. The first title in a series of edited transcripts of episodes of the Pivotal Podcast, this book is perfect for anyone who works in a school or college and includes lots of practical advice on how to transform the behaviour of learners in your institution. Pocketbook 2 – Restorative Practice is available now at Amazon for your Kindle or your Kindle app on any device. Behaviour Specialist, Paul Dix, explains the power of a restorative approach to behaviour management in schools and colleges. 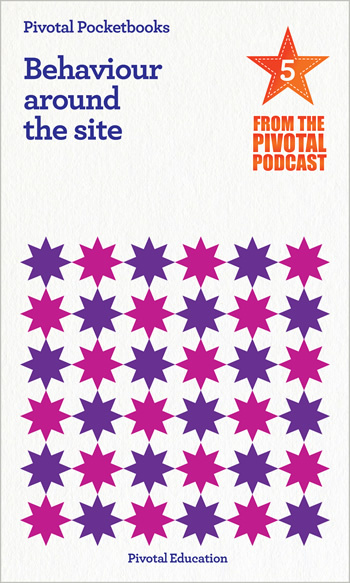 The second title in a series of edited transcripts of episodes of the Pivotal Podcast, this book is perfect for anyone who works in a school or college and includes lots of practical advice on how to transform the relationships within your institution. 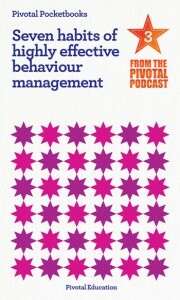 Pocketbook 3 – The Seven Habits of Highly Successful Behaviour Management is available now at Amazon for your Kindle or your Kindle app on any device. 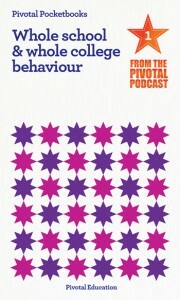 Behaviour Specialist, Paul Dix, shares his list of the seven most important behaviour management habits for teachers. 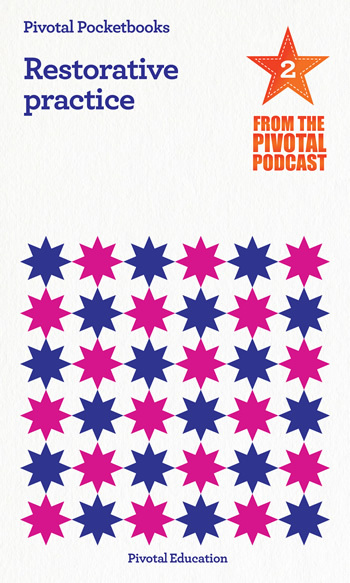 The third title in a series of edited transcripts of episodes of the Pivotal Podcast, this book is perfect for anyone who works in a school or college and includes lots of practical advice on how to transform the behaviour of learners in your institution. Pocketbook 4 – Scripted Behaviour Interventions Behaviour Specialist, Paul Dix, outlines the techniques and approaches of scripted behaviour interventions. The fourth title in a series of edited transcripts of episodes of the Pivotal Podcast, this book is perfect for anyone who works in a school or college and includes lots of practical advice on how to transform the behaviour of learners in your institution.